Adaptable, affordable, elegant and practical. 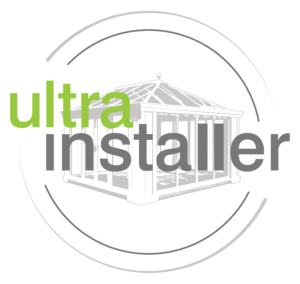 Our orangeries are installed by approved Ultraframe specialists to ensure a high quality extension for your home. Tired of your standard conservatory? Orangeries offer a stunning alternative, adding vast amounts of light and space to your home. 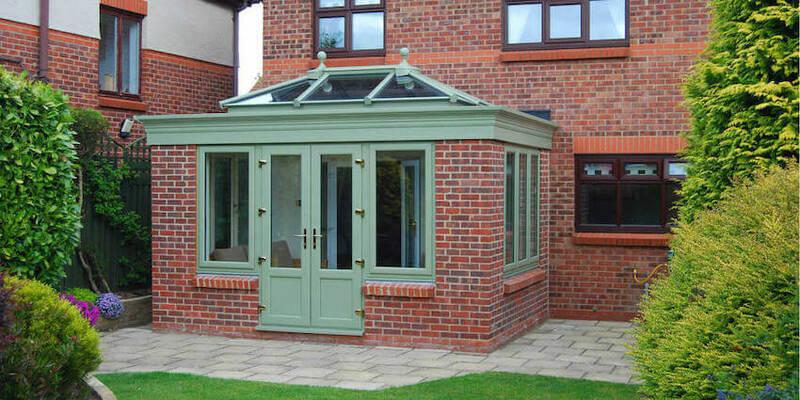 Select Products can provide you with wonderfully crafted orangeries. All our Orangeries are FENSA registered and come with a 10 year HomePro insurance backed guarantee. Compared to other conservatory styles, orangeries offer greater privacy – their stylish yet efficient brick pillars providing excellent insulation. Offering a completely timeless aesthetic, orangeries can be expertly tailored to suit a wide range of property styles, including modern, traditional, period, heritage and new build alike. Our highly crafted, bespoke conservatories are of exceptional quality but more importantly, we offer affordable prices. Originally designed for the rich and wealthy, these buildings were used to store their vast collections of exotic fruits. Rich in history, this traditional design is commonly seen amongst stately properties, often preserved by the National Trust. With an orangery, you’ll be able to bring a new addition to your home that exudes a period charm that has been updated for the modern day. Many people work hard to ensure that these beautifully constructed buildings stay in perfect condition so that everyone can appreciate their splendid architecture. Nowadays, they are an excellent way of complementing your home. Their elegant design and robust structure will certainly enhance your property’s features, providing you with a luxury extension. 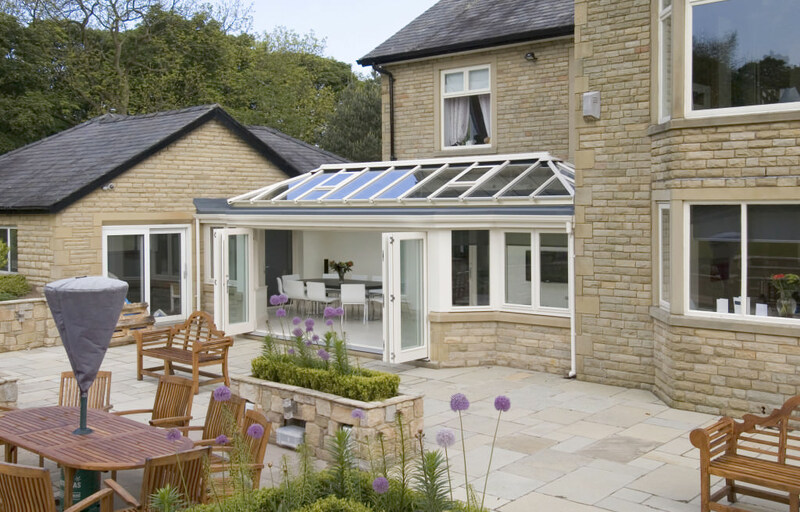 Orangeries are a beautiful way to combine all the benefits of a conservatory with that of a normal house extension. With a reduced glazing area, you’ll be able to increase the amount of privacy you have in your home by reducing sightlines. However, our orangeries are intelligently designed to still let in generous amounts of natural light for a bright and spacious feel throughout. Orangeries are extremely versatile and have many practical uses. An orangery can be used as a kitchen, dining area, playroom, bedroom, office, studio or gym. Let Select Products provide you with your very own state of the art orangery today and open up your home to a number of possibilities. It’s never been easier to enhance your home with more. Our orangeries are also fitted with an internal pelmet that can house lighting or speakers. Not only does this enable you to bring a new addition to your home that captures a completely seamless ‘room-like’ feel, you’ll also be able to install mood lighting or main lighting to complement your room use option further. This way, you’re sure to get the perfect addition to your home. A member of our specialist team will be on hand to help you make the most of the space that you have, ensuring that your orangery is used to its optimum standard. We’ll be able to advise you on how to make the most of your orangery, as well as offering you ideas that could serve as inspiration for getting the ideal home improvement solution for you. Due to their modern design, all of our orangeries are able to outclass their traditional counterparts in terms of thermal efficiency. By utilising the leading design from conservatory experts Ultraframe, you’ll be able to bring a new addition to your home that remains comfortable and usable all throughout the year. It won’t matter about the season or the weather; you’ll be able to relax in your home. This also means that your orangery will bypass the ‘oven effect’ and ‘freezer effect’ that has proven to be a problem with older designs. Often, these orangeries become far too warm in the summer and far too cold in the winter. With our designs, you won’t have this problem as they feature intelligent techniques that help to regulate temperature throughout the course of the year. You can also opt for super insulated columns with your orangery build, which are an innovative and modern addition to the home improvement market. These columns are inspired by the traditional architecture of the Italian Renaissance and achieve a standard of thermal efficiency that is five times that of the traditional brick pier build. This impressive standard is only made possible by quality. An increased degree of heat retention will continue to provide value long after the installation has been carried out. Not only does this relate to home comfort, you could also see a reduction in your overall heating costs. As warmth stays in your home for a longer period of time, you’ll rely on your central heating much less throughout the colder months. With over 20 years of experience in the industry, we are able to offer a standard of installation that ensures your orangery performs to the standard that it is designed to. We understand that a poorly fitted home improvement can often result in leaks and draughts, as well as security and structural problems, which prove to be detrimental to peace of mind and home comfort. All of our installation experts are vetted and assessed for their competency, professionalism and reliability to ensure you always get an installation that is built on promptness and respect. Minimsing the overall disruption to your daily life is one our core principles when it comes to installing your orangery, reducing installation time without compromising on quality. 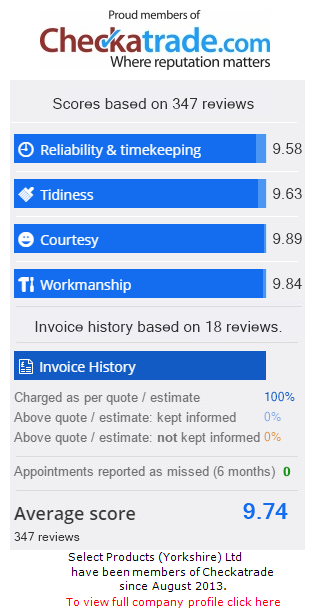 Get a free online quote for orangeries in Leeds using our orangery cost calculator. Take a step towards your dream orangery with Select Products. With a wide range of styles all at incredible prices, you are sure to find the perfect Orangery for your home, allowing you to bring a new addition to your home that is sure to satisfy across the board. Alternatively, contact us on: 0113 257 8933 or get in touch via our online contact form and a member of our friendly team will be happy to help with your enquiry. We have refined our customer service over the years to ensure we accommodate your requests as quickly and as effectively as possible, so you’ll be one step closer to your perfect choice.